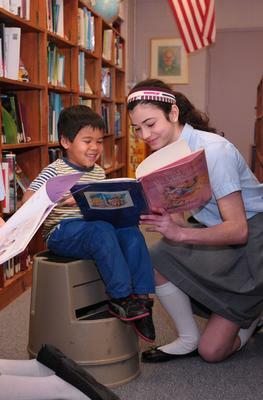 An integral component to the closeness of our student community is our Buddy Program. This program pairs upper and lower grade students throughout the year. Each child is assigned a "buddy" for the year in their paired grade. 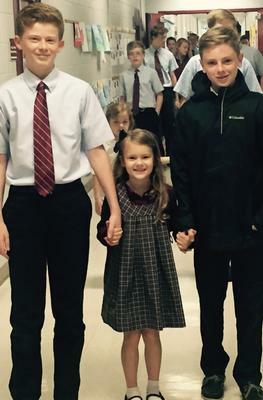 Grades come together every month for "Buddy Time" in the classrooms and as part of our "Friendship Fridays" program. They also sit together at assemblies and church Masses. This is a wonderful way for older students to "lead by example" and the younger students love knowing a "big kid" in school!